Free shipping over S$200.00 purchase. Please note that near expiry items are non-refundable and non-exchangeable as expiry are clearly stated in all Clearance Listings. It is the responsibility of customers to double check product expiry dates and ongoing deals before making their purchase. Kinohimitsu managed by Beauty & Wellness Official Distributor reserves the right to reject requests from customers and will not be liable for any issues that may arise. By purchasing from Beauty & Wellness, you accept and agree to be bound by and comply with our policies. We'll assess the claim issue with the provided picture and inform on the progress. Dear all, please note that Kinohimitsu / Beauty & Wellness reserves the right to re-post/re-publish Qoo10 users' reviews for promotional/marketing purposes. Thank you. Kinohimitsu Be Sharp Kids is a brain development food that helps in supporting a healthy brain function for your kids. Delivery is fast, yet to try so not sure if my kids will like it snd if it really helps. Hope it can improve my kids concentration and stay focus in their studies. My gal has been consuming this for few years now, good product. Highly Recommend First time purchase. The expiry date is less than 03 months. Great price during sale. Yet to try. Repeat order. Good price during sale. Repeat order. Fast delivery. Good price during sale period. Fast delivery. Item well received. very fast delivery. Hope it works on my kids. Dear customer, as pregnant and breastfeeding women may experience different hormonal or physiological changes, it is recommended to consult your doctor before taking any nutritional products. Dear customer, sorry, we are unable to arrange the delivery timing as it is managed by Qxpress. The delivery personnel will contact you upon delivery and you can make the necessary arrangement for redelivery with them directly should you be unable to receive it. If you like to have a specific delivery timing or same day delivery. please choose QxQuick as your preferred shipping. Dear customer, kindly click My Qoo10 available on the top of the Qoo10 page > Recent Orders > Shipping Info. You will be able to keep track of the delivery status of your parcel and the expected date of delivery. Dear all, please note that our operating hours are from 9am - 5.30pm, Monday - Friday (except for PH). Thus all orders & enquiries placed on Saturday, Sunday or PH will only be processed/answered the next working day. 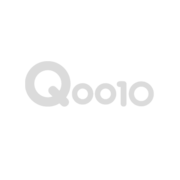 We are currently experiencing some issues with QPost (Qoo10 enquiries answering system), hence there may be some delay in answering your enquiry. We appreciate your kind understanding. May I know when is the expiry date? Dear customer, the current batch of Be Sharp Kids is expiring in 05/2019. Thank you. Kindly advise expiry date for both adults and kids version. Thanks. Dear customer, both Be Sharp and Be Sharp Kids are expiring in 05/2019. Thank you.